Newly delivered GE 44 tonner diesel mingles with Ingersol-Rand boxcab diesels at the 14th Street yard. 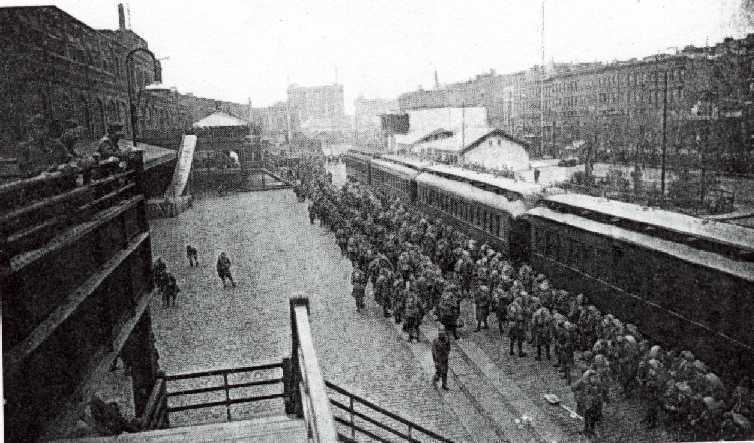 World War I troop train arrives at the Hoboken Piers to start the journey to Europe. In the distance is the Lackawanna Terminal.